Affordable Accoutrements: Another Estate Sale! It's time for another "Thrifty Treasures" party hosted by Rhoda of Southern Hospitality. Go over and check out all the participants. Please be sure to make note of Rhoda's new address and become a subscriber. I love a good estate sale! Recently I went to one of the more interesting ones I’ve encountered. The personal property of a retired local judge was being sold. He was a widower, and had died at the age of 91. You might have heard of his nephew, Al Gore (yep, that Al Gore!). I’ve read that the former Vice-President visited the home frequently and that the judge had been a trusted advisor and confidant. The house itself was unusual. Perched on a knoll at the end of a street of modest brick homes, its first incarnation had been as the clubhouse for the local golf and country club. It was built in the 1920’s and, when the club was moved to a larger property, the former course was subdivided and the clubhouse became a private residence. The house probably hadn't had a renovation since the 70's. It was an interesting combination of frayed elegance, dated "improvements," and neglect due to age and infirmity. Some of the pieces were definitely over-the-top! The huge fireplace was evidence of the unusual origin of the residence. Note the mink stole on the piano. Remember stoles??? Mirrors like this one were sometimes used in furniture so ladies could check to make sure their petticoats weren't showing! I've seen tables like this one, but never one with a lamp attached. Don't you love the old fainting couch? I've also heard them referred to as "hussy couches!" One of the more interesting bird cages I've seen. It had been raining, so the workers had moved tables from the lawn up onto the wide wraparound porches. I really liked those porches! A great old Victorian dresser ... one of the few pieces still unsold as the end of the sale approached. This lamp had just had its second reduction. Hope it found a good home. I should have bought this little rocking chair. It was reduced to $5. One of the arms was slightly loose, but a few drops of wood glue would have solved the problem. I thought I had to have these Fostoria "Laurel" pieces. I already had quite a bit of "Laurel," and it's one of my favorite patterns. I bought these on the first day of the sale (I also went back the next day to check out price reductions). Normally prices are firm on the first day, but I offered less than the asking price. We agreed on a price just slightly more than I offered. I was elated ... it worked out to just over $1 per piece. I used "Laurel" water glasses and a tall champagne for serving sliced lemons HERE. Remember my little "Romance" post? So many nice comments, and Fifi Flowers did a lovely painting based on one of the photos! This Theodore Haviland "Apple Blossom" china was gorgeous! Check out the handled cream soup bowls! 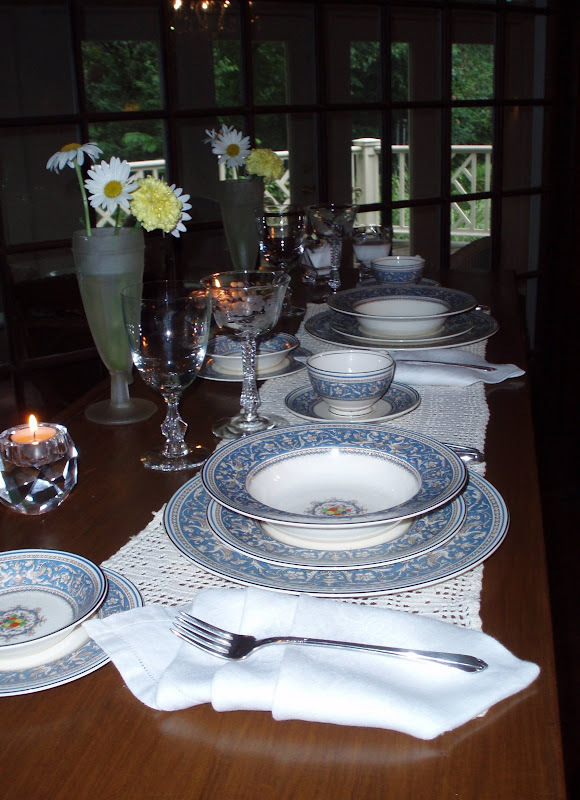 Estate sales are often the best place to get great prices on dishes in perfect or near-perfect condition! The asking price on this stemware was only $1/piece. I don't know the pattern, but I thought they were attractive. These 3 Heisey water glasses were priced at $2.50. It was the second day of the sale, so they were reduced to half price. I offered $1 (accepted). Not a bad deal for three elegant vintage stems! The glasses sparkled after a bit of soap and water! I used them in my "Breakfast Bar" post. If you missed it, you can see it HERE. I hope you enjoyed tagging along and seeing another estate sale with me! If so, let me know and we'll do it again soon. Loved the first piece .. and the Apple Blossom china. Nice job on the water glasses. I love that bombe (?) chest in the first pic. Is that the right name? Anyway, I love that! And the birdcage...something about that spoke to me. You got some really pretty stemware and dishes. Can't wait to see what you do with them. And yes, harping on the flamingos...do the ladies have names? I showed their picture to my girls and they think one is also named Blanche and the other one might be Delaney...;) Yeah, I am having way too much fun with those birds. You find wonderful sales, Bill. Of course my favorite things, shown here, are the stemware and china. I love the dresser, too. Just lovely. wow - some of that furniture was really awful! I do like your pretty glasses - you got a great deal - I'm sure you have priced the new ones. What a great estate sale -- I drooled -- just drooled! Some great pieces. Your purchases were "steals" -- great for you! We love estate sales (rather than auctions) and did some ourselves this weekend -- most were second day so we got bargains! Oh, this was fun! 'Wish I could have come along! The house was rather sad looking inside, but I loved some of the details, especially outside! The outdoor wrap around porch was great, with the rafters and the outdoor staircase! I loved the transom windows over the doors too. It would have been hard for me to concentrate on the 'goods' until the second day anyway, so maybe I would have gotten some bargains! You had great finds and you got great deals! (But I think I'd be remorseful about the rocker too). Really nice post, I enjoyed it! I loved tagging along with you. What interesting pieces... the bombe chest was out of sight "gorgeous"..I have never seen soup bowls with handles..they were just too cute.. The wrap around porch was great. You certainly found some great treasures.. Thanks for taking us along..I hope all is well with you..
What an interesting estate sale. Love the glasses you bought! Bill, that was a lot of fun going along with you on that estate sale. Lovely things! And wow on that huge porch, I love old houses like that. he really had some interesting old things, so I'm not surprised he was 91. A lifetime of accumulation. You got some gorgeous stemware. Thanks for sharing & joining the party today! You did get some great deals on the stemware. The Bombe chest is pretty, but would not want to live with it on a day to day basis. A couple of estate sales in my area looked interesting, but did not go. Thanks for the tour. Hope you had a nice weekend. Well Bill I have to go vicariously along with you because as I told you before we have crap all here when it comes to garage sales, estate sales and Craig's list. The prices are so high you would think you were shopping in a gallery and not someones carport. Hi Bill, I've tried twice to post a comment, but it wouldn't load. So if you see 3 similar comments from me you know why! Now that's an "estate" sale! We don't have sales like that where I live. Thanks for taking us along, I can't wait for the next excursion. So, did you buy the Haviland china? My heart skipped a beat when I saw them. I'm in search of a French antique sideboard for my dining room. I need more storage for my china addiction! Hope your having a great week! Bill, you find the greatest stuff!! Love all of the stemware! So elegant and classy! I would have loved to have meandered through this estate sale! That was fun! Awesome deal on the glasses! I've never heard a fainting couch called that! You're making that up, right? :-) Love the way you described the condition of the house...I knew just what you meant. What a great post -- I would surely love to really go hunting at an estate sale with you - you find the best treasures! Love the glasses. This is so fantastic! I am beyond jealous - I would have loved to have seen this sale. That is was Al Gore's uncle makes it even cooler! I love the glasses you got - and i love the little silver tray the glasses sit on. Thanks for taking me along to that great sale! It was fun to look, even though I didn't buy anything! 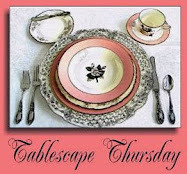 I love your tablescapes so much, that now I have to follow you so that I don't miss a thing! Heisey stemware for a buck-a-peice! I'd call that a bargain in any book! 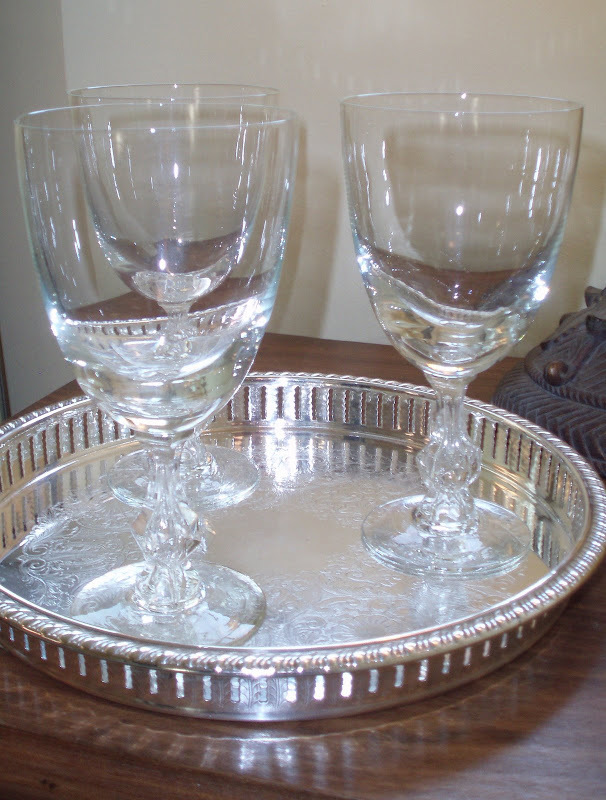 and the vintage Laurel stemware is just beautiful... looks like you had a great time and found some wonderful treasures! Hello Bill - what a lovely post! Thank you for sharing photos from what was obviously a fabulous estate sale! Love the glassware you bought. And that Victorian dresser is beautiful! I gave you an award :) Go to my blog to check it out! 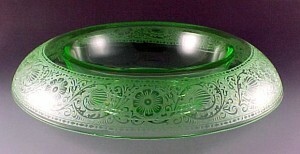 Hi Bill - Thanks for stopping by my blog, and thank you, thank you, thank you for the Goldcroft/Noritake tip!! I thought they might be Noritake, but could never prove it. I love researching things I find. I saw you had some gorgeous monogrammed gold rimmed monogrammed bowls and plates. So glad to have found your blog. I have a feeling if we lived in the same area, we would be at the same estate sales! Oh my...that is one estate sale that I would have loved to go to!!! So awesome that this man was the uncle to Al Gore. Well...I seen so many things that I would have loved getting my hands on! I would have been in big trouble with my pocket book! Hehe! I loved that painted chest in the first photo...bet it went for a pretty penny! Can't believe that the pretty Victorian dresser hadn't sold yet...it looked like a really nice piece! Loved all the pretty glassware that you bought...the Fostoria is really beautiful and your tablescape was gorgeous, my friend!!! 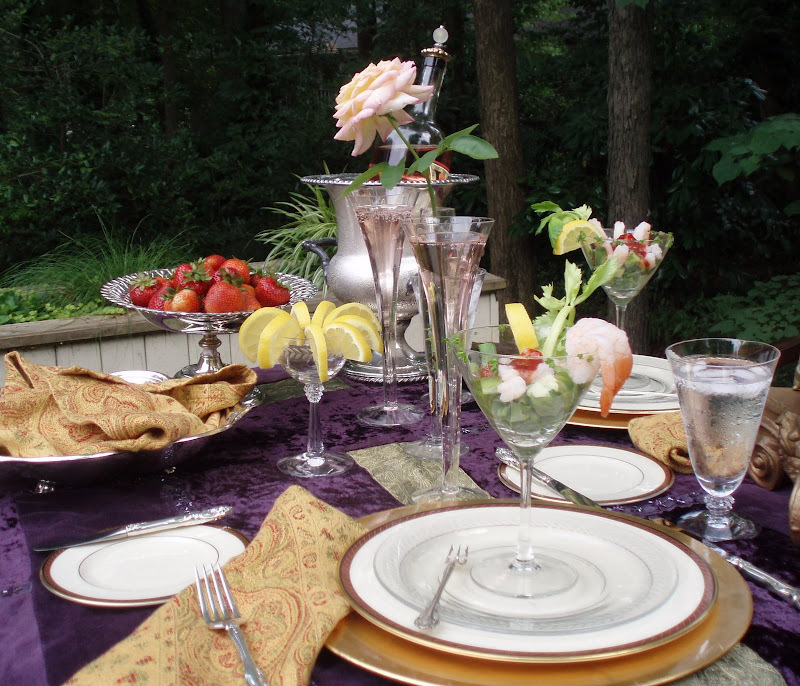 You have such talent for creating fabulous tablescapes!!! Thank you for taking us along on your estate sale trip...I really enjoyed it! 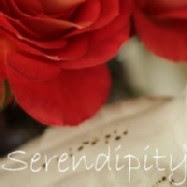 PS...so happy to have you join up to follow my blog...thank you!!! Lately I've been feeding my dish addiction from a few estate sales. Oh, I've got it bad! If you'd told me a year ago I couldn't walk past a plate without turning around and going back for a second glance, I'd have said you'd had a few too many! Oh Bill, if you ever come to East Texas, you've got to go shopping with me! What a great Estate sale and must have been lovely been there with all those beautiful things. Loved the little Victorian dresser and have never heard of the fainting couch referred to as a hussy couch. I love estate sales , but the ones around here are usually auctions. I missed a really neat one here last year and I was so disappointed because it was one of the older homes in this little town and had a ton of interesting things. Ah well, it was a joy to see your photos and I love that porch!! Hi there Bill....didn't know you existed until you stopped over at La Maison et le Jardin (http://www.lamaisonetlejardin.com/2009/07/french-country-style-table-linens.html)...and I'm so glad you did...btw...thanks for following my blog)...will follow you back...LOVE your spot and this view of an estate sale....awesome! Oh, I enjoyed going through the estate sale with you, wish I could have actually been there. The info about the low mirrors on furniture for ladies to see if their slip is showing was news to me, I always wondered about that. Boy, these days there are no slips, and they try to show as much underwear (and other) as possible! Ha! How fun!!! I really enjoyed shopping with you Bill! I love estate sales and auctions! This was a great sale!! Greetings! Just perused this older blog of yours from over six months ago (I am catching up on others' blogs!) and YES, I DO remember "stoles" - my Mom and all of her sisters each had one! Ha-ha! I have never been to an estate sale, believe it or not (I am from Brooklyn, NY and moved to CT about 13 years ago, and have never be to an estate sale). Maybe I should consider going! I would have loved that chair for $5.00! As you say, some glue and paint and it would have been worth it. Well, thanks for sharing!